Tens of thousands demonstrated in Warsaw against Poland’s government on Saturday (6 May), saying the rule of law was at stake after a slew of controversial reforms and appointments to public broadcasters. The protest, called by the country’s main liberal opposition party, came shortly after an opinion poll showed it pulling ahead of the right-wing nationalist Law and Justice (PiS) government. Since winning power in October 2015 elections, the PiS has pushed through a string of changes that have led to mass protests at home and a threat of EU sanctions. 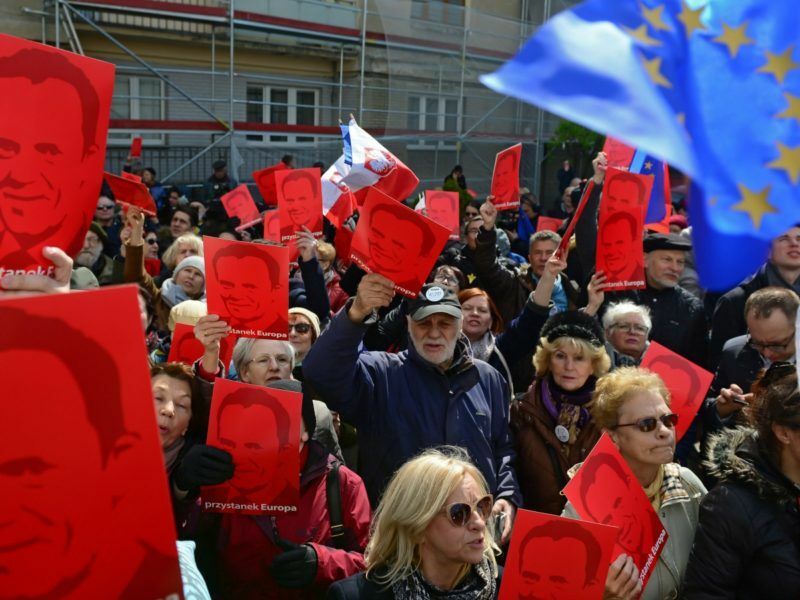 Supporters of Civic Platform (PO) flooded into the sun-drenched capital, calling the protest a “Freedom March”, with many carrying red-and-while Polish and yellow star-spangled blue EU flags. 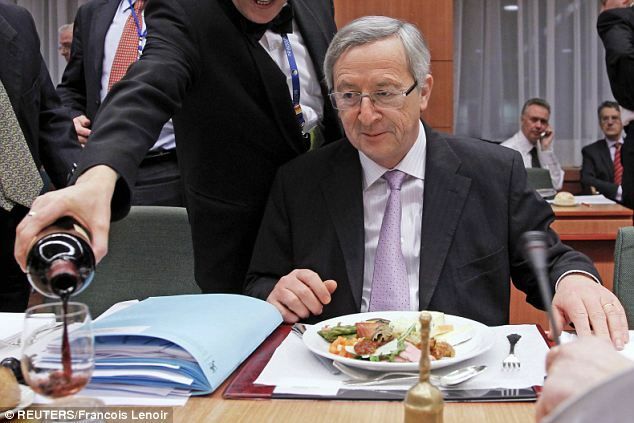 Krystyna Pawlowicz, a Polish MP from the ruling Eurosceptic PiS party, has written a letter to the Jean-Claude Juncker, accusing him of “alcohol dependency”. She also called “distasteful” the fact that Juncker apparently took a nap in the Vatican over the celebration of the EU’s 60’th anniversary. “I’m afraid that the European Union will fall apart; there’s already Brexit, and there’s a risk that if Poland doesn’t respect democracy and the rule of law it could be thrown out of the EU,” Anna Szadkowska, who marched wrapped up in an EU flag, told AFP. “It could all lead to a new war in Europe,” she added. PO leader Grzegorz Schetyna, referring to PiS party chief Jarosław Kaczyński, told the crowds: “Chairman Kaczyński says Poland is a free country and that nothing threatens that freedom. This isn’t true and we know it. 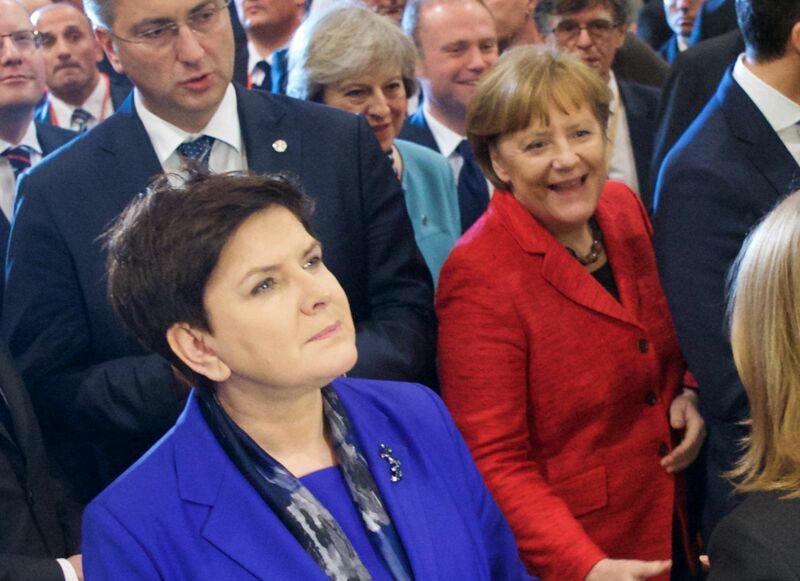 “We want a democratic, pro-European and proud Poland that seeks partners and friends in the European Union, not enemies. 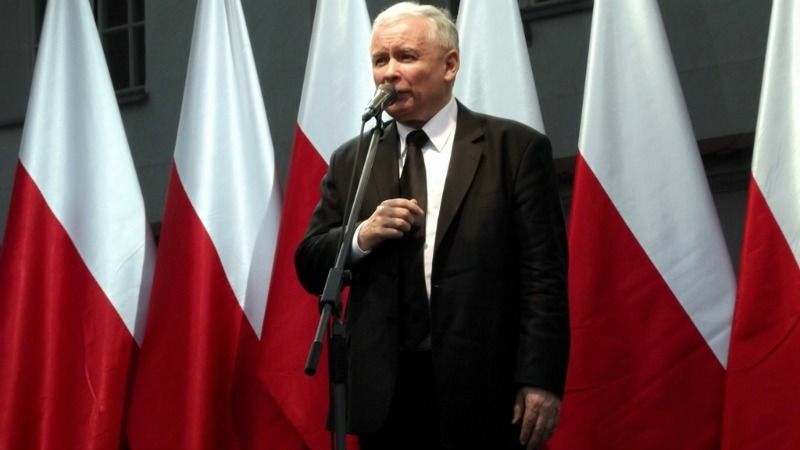 Kaczyński, widely regarded as Poland’s de facto decision-maker despite holding no senior government post, rejected the accusations, insisted that rights were being respected. “We have democracy, everyone can believe what they want, everyone can protest, everyone can vote how they like, everyone can write what they like,” said Kaczyński during a shipyard visit in Szczecin, northern Poland. European Council President Donald Tusk testified for eight hours in Warsaw on Wednesday (19 April) as a witness in an investigation of two former military counter-intelligence chiefs accused of overstepping their duties. While local government officials allied to the organisers said the march drew 90,000 people, police put the number at 12,000. AFP journalists on site estimated 50,000 marchers in the sunshine, before rain came. 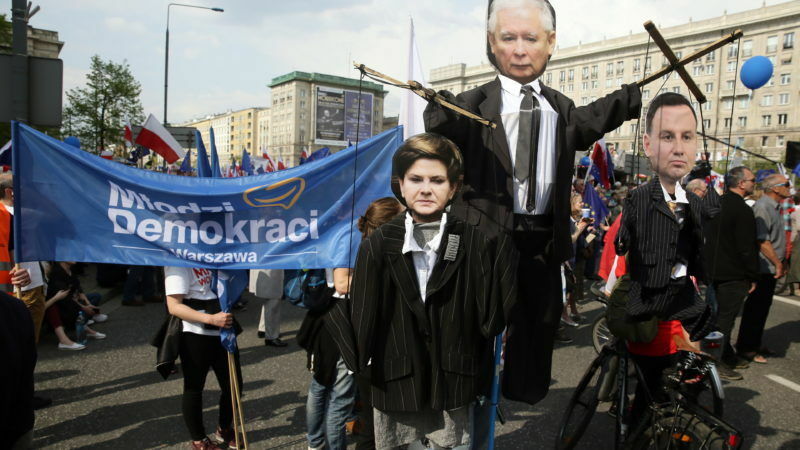 The PO liberals accuse Kaczyński’s populist government of using its “good change” policy to undermine the independence of the Constitutional Court and other public institutions, such as television and radio stations. The PiS, which swept back into power partly by playing on fears of an immigration influx, has also come under scrutiny for installing loyalists as directors in state-controlled enterprises. The party had been out of power for almost a decade. Kaczyński has said refugees bring “cholera to the Greek islands, dysentery to Vienna, various types of parasites”. But latest polling shows the PO scoring 31%, ahead of the PiS (29%), the first time the opposition has led since the October 2015 election. Point of information: Reuters said the demo attracted several thousand. The police said 12,000. Even the demonstrators there said it was a disappointing turnout. An average town gets a better turnout at Corpus Christi. Platforma is languishing in the vast majority of polls. The “populists” are introducing the welfare state – the pro Big Business “Liberals” were implacably opposed to introducing child benefit, saying that businesses would no longer be able to impose starvation wages on workers. Now, they suggest means-tested benefits with lots of bureaucracy (to stop people getting benefits). VAT receipts will end the year up 11% as mass fraud under the former govt was slashed. The failure of Poland to honor its Terezin Declaration obligations regarding returning property stolen by the Communists is being reviewed – after 25 years of post-Communist Liberal Democracy has meant that most of that property was squirrelled away by people linked to Platforma – like the husband of Warsaw Mayor Grontkiewicz-Waltz, who’s made a fortune in defrauding Holocaust assets. Liberals? ?